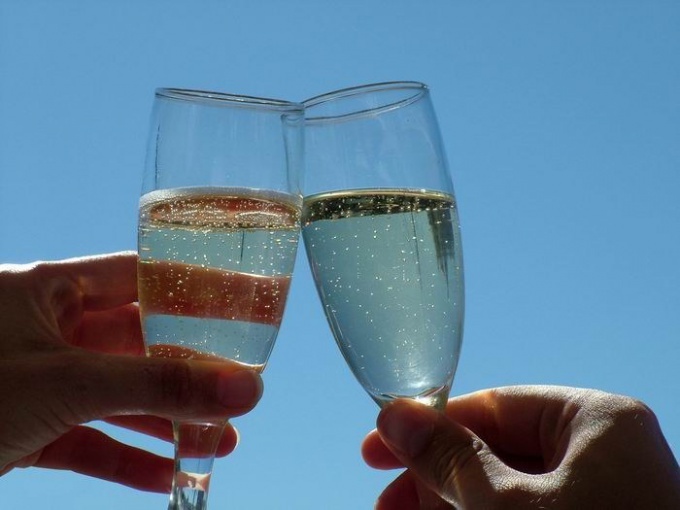 Champagne in Russia is associated with holidays and fun. Few people can celebrate New year without it. However, not all imagine what to pair champagne with. We can say that champagne is a versatile drink. It can be served as an aperitif, with main courses and even desserts. However, in this case, it is important to draw up a menu. First of all, it is necessary to abandon the harmful stereotypes and stop to have a snack champagne chocolates. Strong taste of chocolate and its strong flavor completely drowns out the delicate taste of champagne, not allowing you to enjoy them to the fullest. A suitable snack for champagne are small sandwiches, canapes with red or black caviar, this combination of flavors will delight any gourmet. A wonderful addition to champagne can become the fruit. It is best to combine this drink with peaches, pears and strawberries. Keep in mind that too sweet or sour fruits overpower the taste of the drink, so pineapples should be abandoned. Champagne, as in almost any wine, it goes well with cheese. Cheddar and Gouda cheese perfect for any champagne, and Adam best complements semi-sweet sparkling wine. Champagne is a wonderful complement main dishes of poultry and white meat. But it should be noted that are too fatty, spicy or simply smoked foods with this drink combine is not very good, because it can easily kill its delicate taste. The same applies to very spicy food. Brut and rose champagne goes wonderfully with seafood and fish. Interesting could be a combination of these drinks and lean red meat. You need to consider that champagne don't mix heavy "boiled" salads, mayonnaise. If sparkling wine is the main alcoholic drink for your holiday table, give preference to Italian salads with lots of greenery and light ingredients, they blend perfectly with champagne. Not all desserts are combined with sparkling wines. To them it is not necessary to serve chocolate and chocolate pastries. Better to stay on sponge cakes or cakes with a touch of cream and plenty of berries and fruits. The combination of ice cream and champagne may seem very interesting, especially if you use fruit sorbets, not ice cream. It is worth considering that here works the same rule as that for a fresh fruit sorbets should be neither too sweet nor too sour. The dessert is best served semi-dry champagne.